Greek Heritage Night – Two Opportunities to Play Ball! 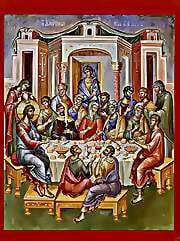 In appreciation for all of our Resurrection stewards, the Parish Council invites everyone (stewards and those who would like to become stewards) to attend our annual luncheon on the Sunday of Orthodoxy following the Divine Liturgy. Please join us – no reservations needed, no charge!